We're always looking for volunteers to join our team, whether driving our steam engines, welcoming visitors or supporting school visits. Our volunteers contribute all sorts of skills and experience while meeting new people and learning new skills too. Without our volunteers, we simply couldn’t run the Museum. Find out more below about our volunteer roles and how you can help us – and then register your interest. 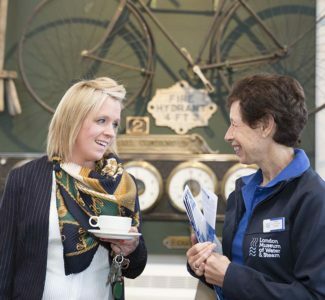 We’ll be in touch to invite you to one of our Meet the Museum sessions so that you can meet other volunteers already supporting us in the area in which you’ve expressed interest. Be the welcoming face of the Museum to visitors, whether coming for the first time or on a repeat visit. Sell tickets and goods from our well stocked shop using modern till and sales systems. Encourage visitors to sign up to Gift Aid, answer routine enquiries from visitors and from telephone calls and take responsibility for cash handling and end of day till procedures. Are you friendly, enthusiastic and like speaking to new people? Why not join our education team? We are looking for learning assistants to volunteer for the education department. From delivering and developing school sessions, to organising and publicising family events there is plenty to get stuck into. Do you have a keen interest in history and/or engineering? Talking to individuals and groups, Museum Guides’ answer visitor questions and queries and deliver explanatory talks as part of our engine demonstrations. They are often the public face of the Museum, providing guided tours and talks to organised group visits and outside audiences as part of our outreach activities. Full training on the history of the Museum and engines will be given. Our members provide vital income to support the preservation of our unique collection of historic water pumping engines. 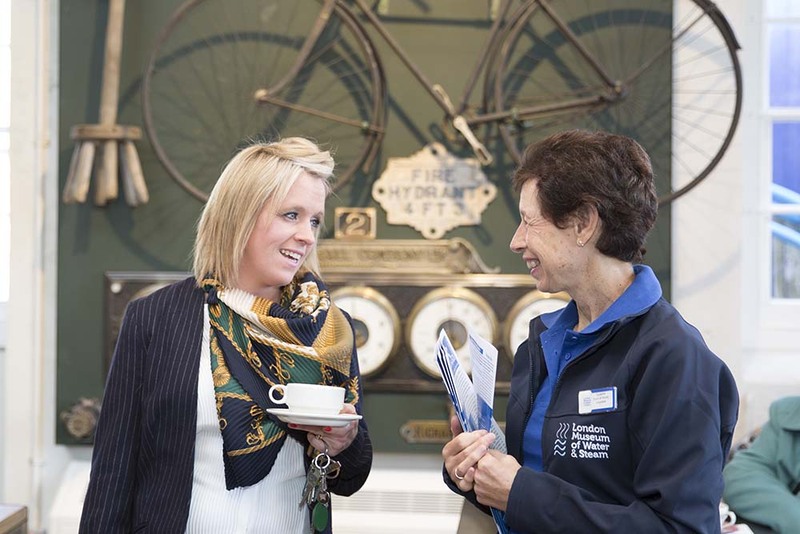 The membership volunteers welcome visitors at the Museum entrannce, promoting the benefits of membership and answering general visitor enquiries. If you are fit enough to drive a car you should be able to drive one of our engines! From the Boulton and Watt, which first ran in 1820, to the 90″, one of the largest Cornish cycle beam engines in the world, our nine steam driven pumping engines all present exciting challenges, and a real sense of achievement when you have mastered them. You will learn how to fire up the boilers, prepare the engines as well as demonstrate the steam pumping engines to the museum visitors according to the running schedule. Have you ever wanted to drive a steam locomotive? Our railway runs every Saturday and Sunday and on special event days. Working on ‘Thomas Wicksteed’, our 2009 Wren class steam locomotive you will be hands on with preparation, boiler maintenance, running visitor trips as well as dropping the fire and disposal at the end of the running day. As part of the running schedule you will also learn to drive our 1957 3-litre Lister Diesel locomotive ‘Alister’. For both of the above, Volunteers need not have previous experience of steam or railways, although a general knowledge of steam and engine principles will be advantageous. Full training will be provided in all areas of engine operation, including instructions in health and safety and museum operation procedures. All back-of-house roles can be carried out whether or not the Museum is open and in some cases (for example heavy repair work to the engines) can only be done when the Museum is shut to visitors. Some roles may require a particular level of physical ability. If you prefer wood and masonry to metal then there are many opportunities to work on the maintenance and repair of our Grade 1 & 2 listed historic buildings. Jobs include painting and decoration (a never ending task), maintenance and repairs, and some new construction, for example of garden walls, fences and railings, and small structures. Again we can always make good use of relevant skills but if you are willing to learn we can provide the opportunities to do so. We have working groups on Thursdays, Thursday evenings 5-9 & Saturdays. The Museum’s garden is a major draw for visitors and is in use the year round, both during normal opening times and for a variety of events from wedding parties to birthdays. Your green fingers can help us to keep it in good repair, whether planting, weeding, tidying up, helping to clear new areas of the site, or creating and looking after the many smaller planters and flower beds around the Museum. The Museum has a specialist library and an archive of documents, pictures, films and sound recordings, as well as a number of historic small artefacts and exhibits. relating to water supply in London. You will work with our Conservation and Archive team on the recording of new material, on conservation and research and on making the archive and library available to researchers and the public.